Home CA Entertainment 5th Annual Comics Rock! 2016 adds Headliner Marsha Warfield in L.A.
5th Annual Comics Rock! 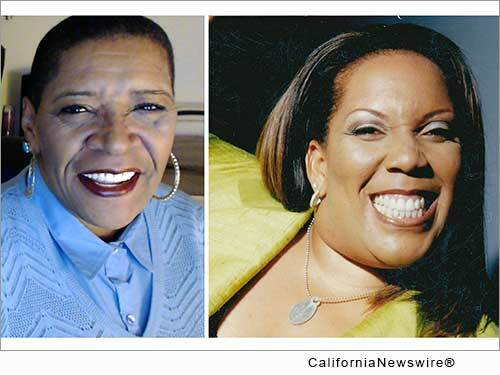 2016 adds Headliner Marsha Warfield in L.A.
LOS ANGELES, Calif. /California Newswire/ — Five years of funny is no small feat when you are a female in a male dominated industry coordinating an annual comedy fest. In fact, it is literally not a joke. But comedienne Hope Flood has handled it with amazing finesse and style as her Comics Rock! Convention returns, April 26 to 30, 2016 at J. Anthony Brown's JSpot Comedy Club, located 5581 W Manchester Boulevard in Westchester, CA. Celebrating five fun-infused years, Comics Rock! Convention has become a "must attend" industry event with its presentation of workshops and seminars for aspiring comedians, actors and producers, where they network and showcase their talents. Legendary funny lady Marsha Warfield will headline the festivities moderating the highly anticipated "Comics Rock! Forum" from noon to 2 p.m. PT on Tuesday, April 26, 2016 at the JSpot Comedy Club and she will celebrity host a Comedy Night Showcase later that evening, starting at 9 p.m. at The Ha Ha Cafe at 4712 Lankershim Blvd. in North Hollywood. The "Comics Rock! Forum" is a special gathering where up and comers have the opportunity to ask questions and seek counsel from veteran talent. Marsha Warfield is possibly best remembered for her 1986-92 role of Roz Russell on the popular NBC sitcom, "Night Court." Warfield's Comics Rock! Convention appearances are part of her resurgence on the scene after a 20-year hiatus. This year's highlights also include an "Awards Dinner and Special Tribute to Michael Williams," the founder of the Comedy Act Theater, on Friday, April 29, starting at 7 p.m. at the Regency West located at 3339 W. 43rd St. in Los Angeles. An after party will conclude the affair. The "Comics Rock the Court Celebrity Basketball Game" also returns this year on Saturday, April 30, from noon to 4 p.m. at the Jesse Owens Park, 9651 S. Western Avenue in Los Angeles. Comedians Luenell ("Katt Williams: American Hustle"), Shang (BET's "Comic View"), Cocoa Butter (Tyler Perry's For Better or Worse) and Paul Mooney's sons, the Mooney Twins (Bravo's "Newlyweds: The First Year) are just a sampling of the talent scheduled to present workshops and seminars. Workshops will include "Comedy 101" offered by Hope Flood; "Writing & Performance Technique" by Greg Dean; "The Art of Stand Up Comedy" with David Arnold and Attorney Antavius Weems' "How to Inc U." Celebrity hosted comedy club showcases will cap each evening and will be held at some of Los Angeles' hottest mainstream comedy clubs, including the Ha Ha Cafe in North Hollywood, the JSpot Comedy Club and Sal's Comedy Hole in West Hollywood. As the founder of Females in Comedy Association (FICA), Flood originally introduced the comedy convention as the "Females in Comedy Convention," before expanding her vision to embrace both genders. With FICA however, she still continues to offer female comedians tools for networking, mentoring and collaborating, as well as fueling awareness for comediennes in the entertainment industry. Comics Rock! Convention continues to honor females in comedy this year with a special day of gifting and pampering at the "Pamper Me Soiree" on April 26 at the JSpot. "It has been five years now and each year I'm inspired because not only does Comics Rock! Convention continue to grow, but more and more comedians are looking to us to be that resource that replenishes them each year. I feel that too many people take 'funny' for granted, like it doesn't require work, skill and dedication. Comedians work hard to make people laugh and I am humbled to be able to provide this annual haven for our community. Five years is a wonderful milestone for me," reveals Hope. Hope Flood has always possessed a vision beyond the punch line. Early on in her career she published the first nationally distributed comedy magazine, "Comedy, the Magazine." Her original weekly showcases were training grounds for talent like Jamie Foxx and Chris Tucker early in their careers. She has served as an on-air radio personality on Dallas' KRNB 105.7 radio with BJ & The Morning Show and has appeared on the Russell Simmons' HBO All-Star Def Comedy Jam, Comedy Central's "Comic Groove" hosted by Tracy Morgan, and "Comics Unleashed Hot Chocolate with Byron Allen," to name a few. Hope has been a semi-finalist in the Old English 800 Women's Comedy Crunch and a two-time semi-finalist in the Bay Area Black Comedy Competition. Her appearances also include ten seasons on BET's "Comicview" where she won her own one hour "Grandstand Comedy Jam Special" and she was later picked as one of BET's 39 "Most Favorite Comedians." Hope's razor-sharp wit and amazing acuity to uncover the joke in everyday life scenarios keeps her at the forefront of comedy. For registration and more information regarding sponsorship, vendors or attendance, go to http://www.comicsrockconvention.com/ .